Each week, Fill Your Plate will highlight a different crop or livestock raised in the United States. This week, we highlight sheep & lambs. 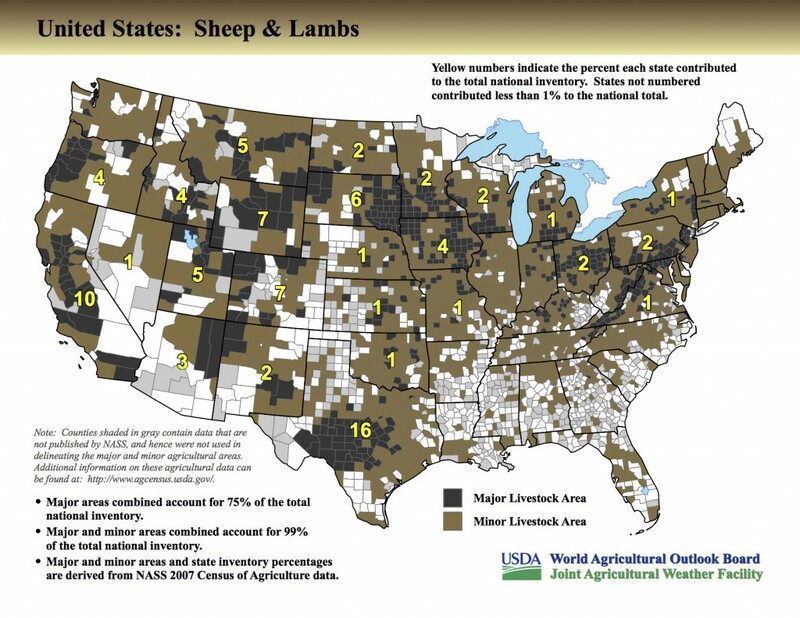 According to the USDA’s infographic below, Arizona farmers contribute towards 3% of the national average of sheep and lambs raised in the United States. You can go to Fill Your Plate to see a list of Arizona farmers who raise lambs and sheep. This entry was posted in Ag Facts, Focus on Agriculture and tagged Arizona, Arizona farmers, Fill Your Plate, lambs, Major World Crop Areas And Climatic Profiles, sheep, sheep and lambs, United States, United States Department of Agriculture. Bookmark the permalink.